A man who reportedly came to Washington to kill “all white police” at the White House was taken into custody Monday across the street from the heavily guarded compound, the Secret Service said. 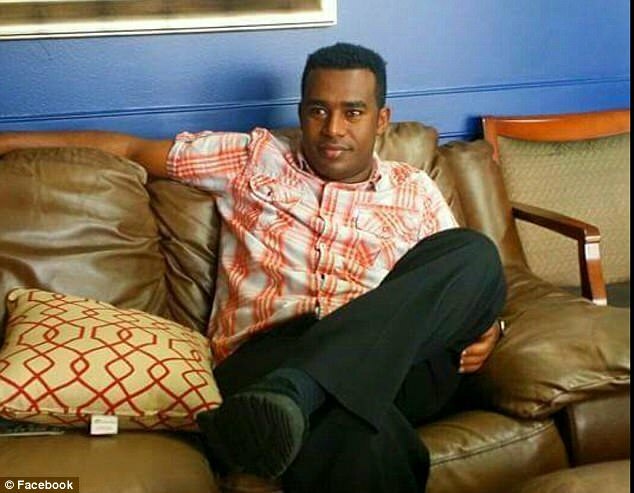 According to the Secret Service, Michael Arega, of Dallas, was found about 4:05 p.m. on the north side of Pennsylvania Avenue, near Lafayette Square. He was arrested and taken to a D.C. police station. Charges “are pending,” the Secret Service said Monday evening. It was not clear whether the man was armed. 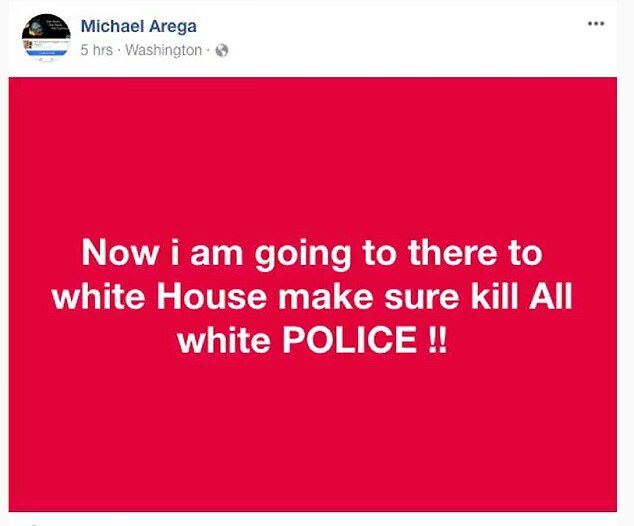 A spokesman for the Montgomery County police said they were told by Arega’s former wife that his Facebook page said he was going to Washington with the intention of killing all white police at the White House. Officers spotted him on the north side of Pennsylvania Avenue near Lafayette Park after being told to be looking for the suspect. Arega had even ‘checked-in’ and posted his location as the White House on his own Facebook page.